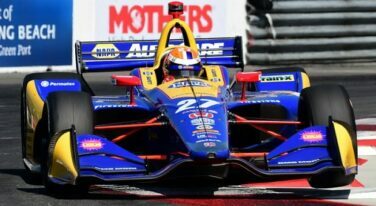 The racing on the streets of Long Beach might have been a bit on the bland side, but a couple of events leading up to what became a processional showed the reason why the Acura Grand Prix of Long Beach is looked forward to by all participants involved. 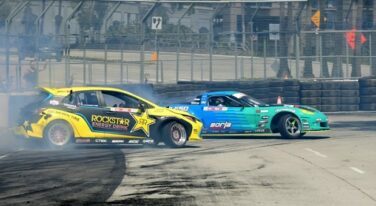 The 45th Acura Grand Prix of Long Beach was more than a collection of racing events – as seems customary, it was a “happening” of the highest order. 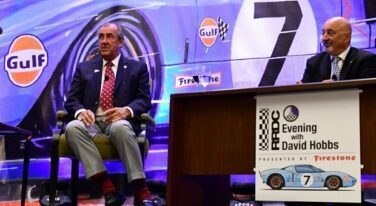 For the 45th time, there will be racing in Long Beach, Calif.
For 39 years, Grand Prix Association of Long Beach president and CEO Jim Michaelian had a partner that he could depend on to sponsor the Grand Prix. When Toyota moved its headquarters to Plano, Texas, the writing was on the wall as first, the company removed its popular Pro/Celebrity race and then its overall sponsorship.